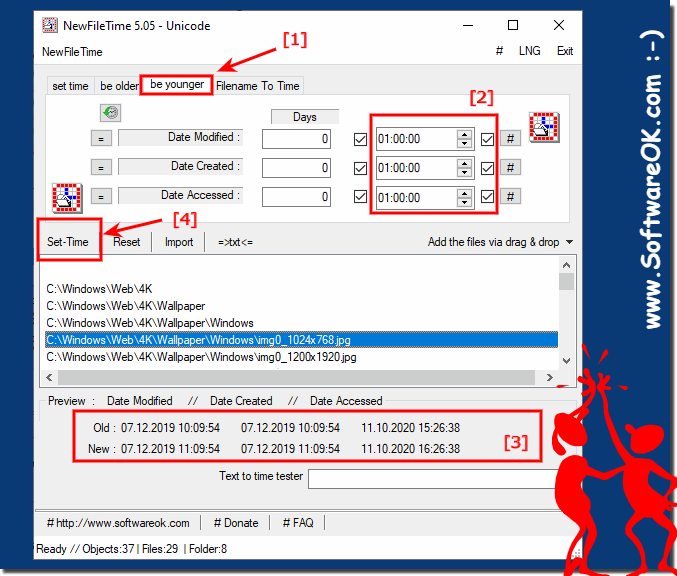 The solution is simple with NewFileTime to make time stamp corrections for files and folders for example for summer time and winter time in Europe! This Solution is for Windows 10, 7, 8, 8.1, XP and all others Windows Operating Systems. To change the file time and/or the time stamp of the folder, E.g. to make an hour older! See also: Bug with time zones / summer time! (Image-1) files and folders Time stamp corrections for one hour! (Image-2) Summer and winter file time stamp correction! 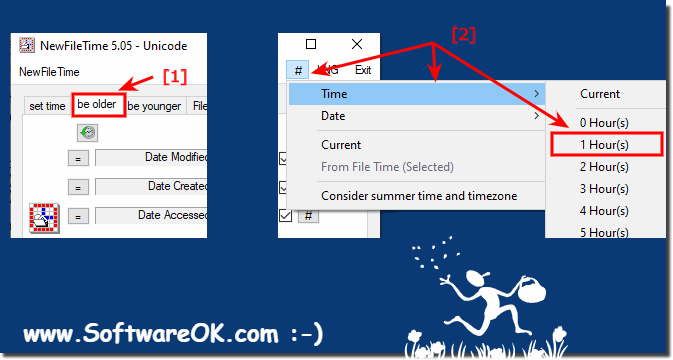 NewFileTime - FAQ-5: Summer time and winter time make time stamp corrections for files and folders!